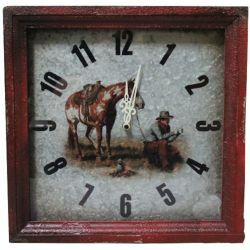 Cowboy campfire metal wall clock. 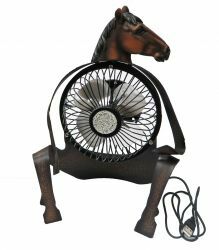 Metal horse USB desk fan. 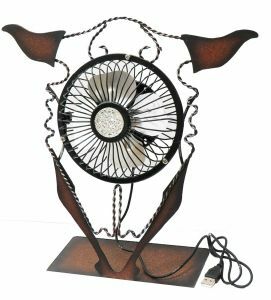 Metal steer skull USB desk fan. 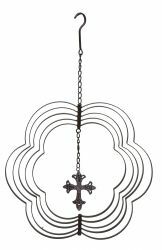 17" Iron expanding hanging ornament with cross. 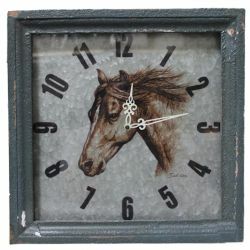 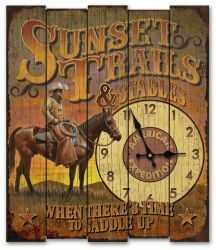 American Expedition® " Sunset Trails & Stables" wall clock. 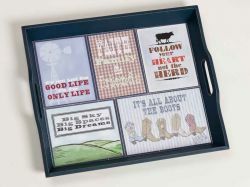 18" x 15" Country patchwork tray. 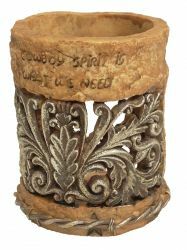 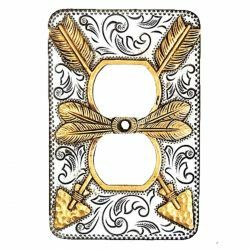 Montana West ® 4" X 4" Floral engraved pen holder. 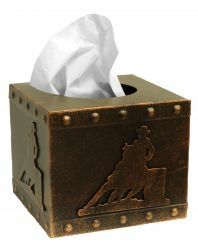 6" x 6" x 6" Barrel racer tissue box cover. 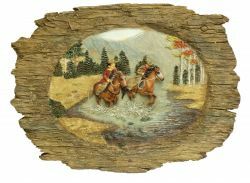 Montana West ® 13" X 9.5" Cowboys riding wall plaque.